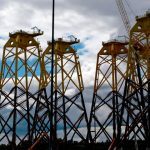 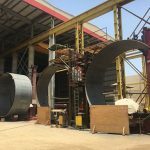 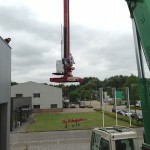 Red-D-Arc delivered three submerged arc systems to a construction company from Willebroek (Belgium) which has acquired a record contract for the construction of foundation structures to be used in an offshore wind farm close to the German-Dutch border. 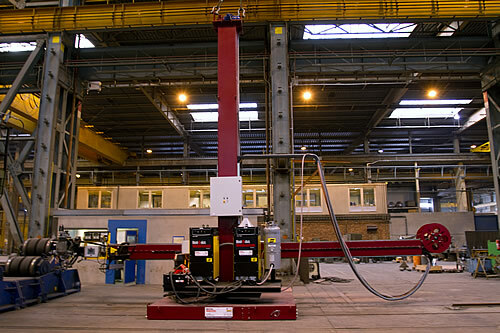 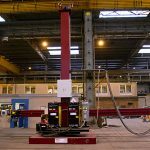 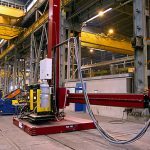 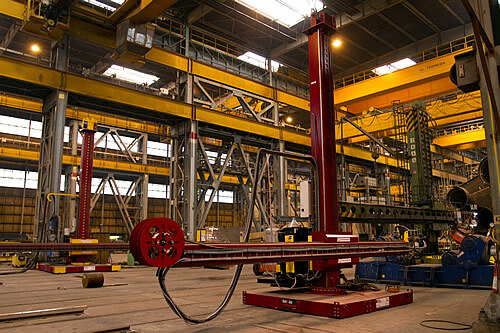 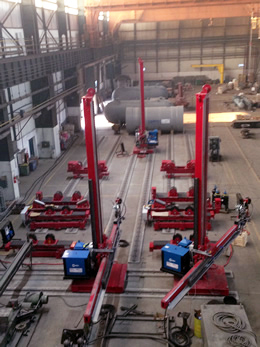 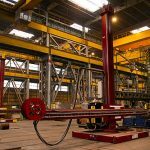 The Red-D-Arc column and booms are 7 m x 7 m and are equipped with a double wire system powered by the ESAB 1250 for welding 4 mm cored wire. 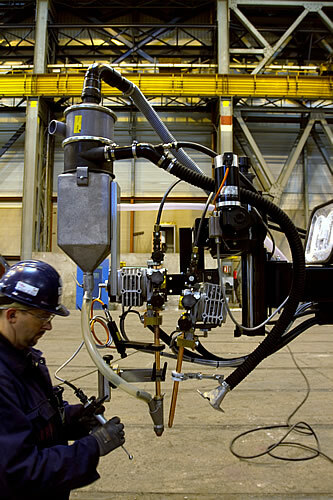 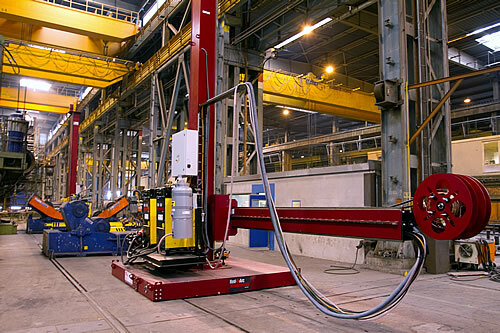 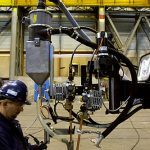 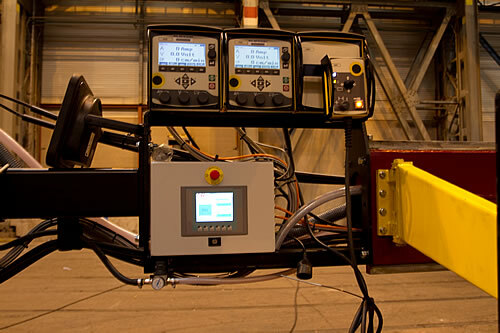 In addition, each of the column and booms included a seam tracking system and flux recovery unit. 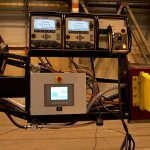 Thanks to the advanced electronics and touch screen interface controls the turnkey systems each require only a single operator.